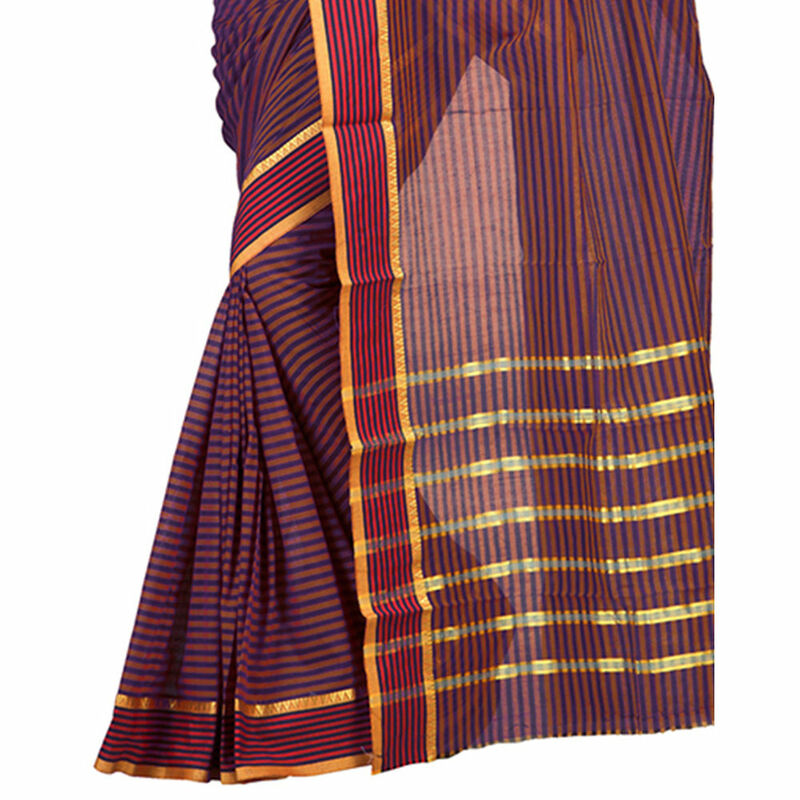 Lookslady’s violet and orange cotton festive saree with zari woven crafted and has striped print. 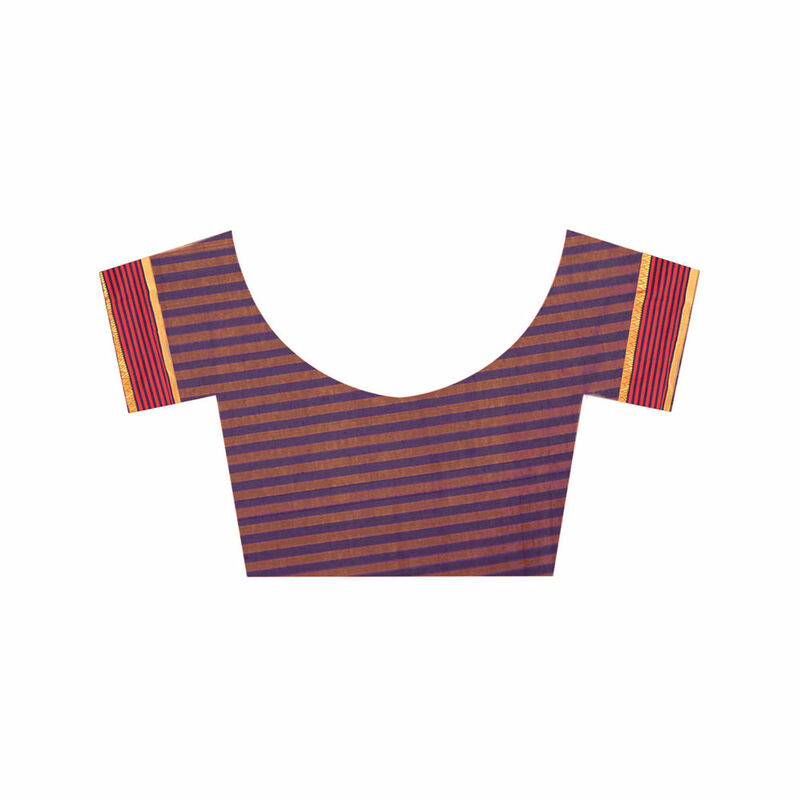 It also includes violet and orange cotton blouse. The respected ethnic wear grooms your identity and flags you with fashion warm and charm both at a time. Rich ethnic wear with attractive cultural impact and though beautiful with look and winsomeness.